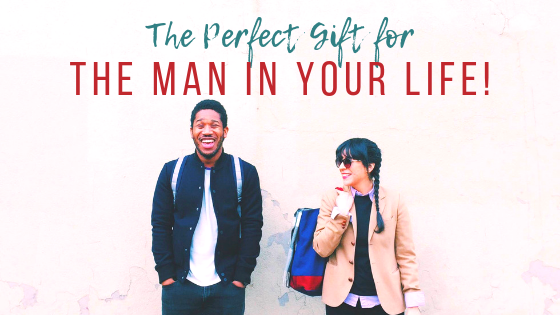 Picking the most perfect gift for the man you love can be a lot of pressure. But at the end of the day, it’s the thought that counts. Here are our picks of the perfect way to remind your man that you adore him. Happy Holidays! Share your favorite memories that you’ve shot on any DJI Osmo product for a chance to win a #DJI #OsmoPocket and a round-trip ticket to Helsinki, Finland! Use the hashtags #GoWithOsmo and #BecauseLifeIsBig and follow @djiglobal in order to enter! We’ll select two winners on Dec.30th to send off to explore the beauty of Finland and document their adventures with Osmo Pocket! If your man is a tech geek, this smallest 3-axis stabilized handheld camera is the perfect gift for him. He’ll be psyched about how this compact and intelligent Osmo Pocket turns any moment into a cinematic memory. A romantic choice for any man who loves cool gadgets. When you need a little help rekindling the spark—or want to take things to a new level in your relationship—indulge yourselves in the luxury of Tom Ford perfumes. These perfumes come in a variety of high-quality ingredients—neroli, vanilla, leather, suede, musk, oud—that have been curated to keep the sparks flying. He’ll be left gasping for more. Let’s not play! The PS4 and the VR combination will seal the deal when it comes to your relationship. The PS4 has the year’s biggest games, including Fallout 4, The Witcher 3, Call of Duty: Black Ops 3, Assassin’s Creed: Syndicate and Metal Gear Solid 5. When you see the expression, and thrill on his unsuspecting face when he opens up his gift, it’s gonna be priceless! Express your love for him through the warmth of an Arc’teryx Jacket – designed to perfection for the explorer. If he is an adventurous spirit with a hunger to explore, the Arc’teryx jacket will suit his temperament. Built for diverse climates and challenging conditions you will inspire more adventures in him. Got a man who loves his sneakers? Make it the best one around with the low tops in the color of the season. He’ll know you’ve been paying attention and he’s got the right partner in his corner. If this doesn’t score you extra points, we don’t know what will. When your man is stylish and a badass, he needs the ultra-modern Herschel bag to make an impression in the big city. These bags are functional as they are sophisticated and come in a variety of colors and sizes. If he means business, these backpacks will make him look like a million bucks. Wanna give your cutie a bit more TLC? Introduce him to our app and he will be hooked. We deliver anything – from food, liquor, and clothes to shoes, bags and even pet food. He wont be going anywhere anytime soon!